I posted this on FGRV too, but thought I would share here for those who don&#39;t venture there. After doing an enormous amount of research for a new, quality BBQ, I decided on the Dickinson Marine Spitfire 180. LINK There were many others in the hunt, other marine grade, Weber, charcoal, etc grills were all evaluated. Basically, if it existed, I bet I have heard of it, and looked into it. -Relatively small, and easy to store. I wanted to be able to easily cook for 2 with a couple items on the grill, or do up steaks or similar items for 4. 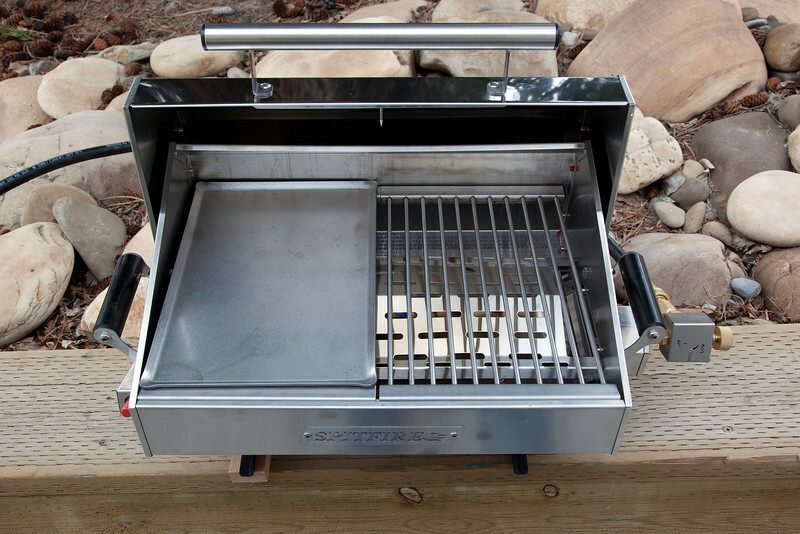 This ruled out many BBQ&#39;s. Just too bulky for the actual cooking area. -Fit under the dinette seat. Again a size thing, as I want it right out of the way when not needed. -Reasonably tall. I want to be able to roast a small chicken or roast, or do other baking too. This ruled out the flatter ones. -Durability and reliability. Once I got looking, it became obvious to me that a marine quality stainless steel unit would likely fit the bill. After reading countless reviews, and emailing a few folks that had a Dickinson BBQ, I settled on the Spitfire 180. I bought this BBQ earlier this year, before I pulled my Escape 19 out of storage. I ended up ordering directly from the manufacturer, and made a deal that was WAY better than the list price on the site. I also ordered the Aussie grill, and the low pressure valve, as I had a quick connect installed on the trailer new. I bought the parts for the hose and connections from Fairview Fittings, who have a few stores in Canada, and have a full supply of propane fittings. - Very solid construction. The SS rivets are massive, and the seams were caulked with fire caulking prior to assembly. 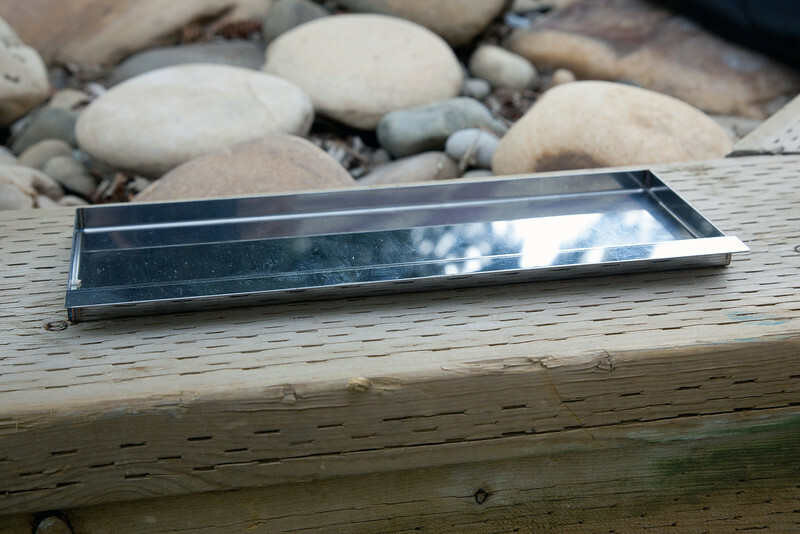 - The SS rods on the grates all roll, and are very solid. - The drip tray is made of heavy SS, not tinfoil like the Weber and some others. - Lots of quality details everywhere, from laser cut lettering (or some similar type cutting), great accurate temperature gauge, solid feet and handles. This is one of those purchases that just gives you great pride to own. After using it all summer, I can&#39;t really find a flaw with it. It is starting to change colour a bit now, as all stainless steel will after being subjected to lots of heat. With the Aussie Grill in it. Great for cooking anything that might fall through the grates otherwise. Veggies, pancakes, etc. Note the quality nameplate. This will never suffer from wear. 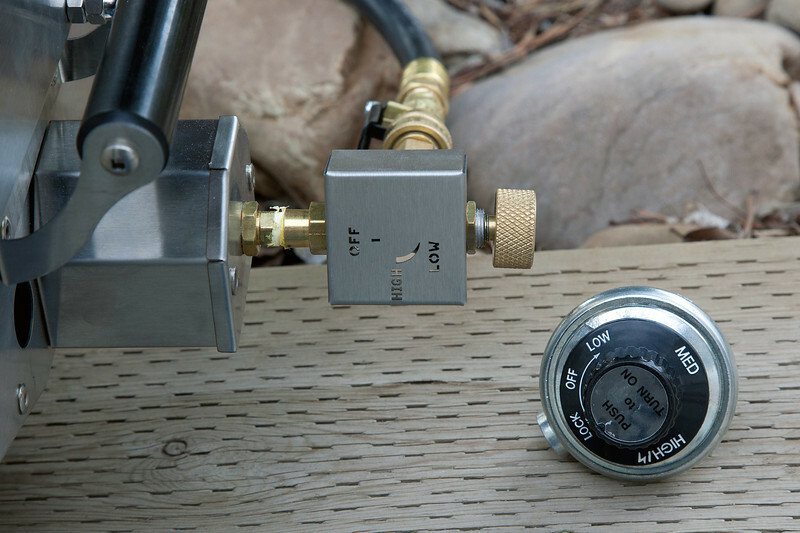 Here is the low pressure control with the regulator alongside it. I keep the regulator on hand just in case I might want to hook to a bottle some time. Real easy to change. Again, note the control lettering is all cut into the stainless steel shroud. This is the drip tray. Solidly made from SS. 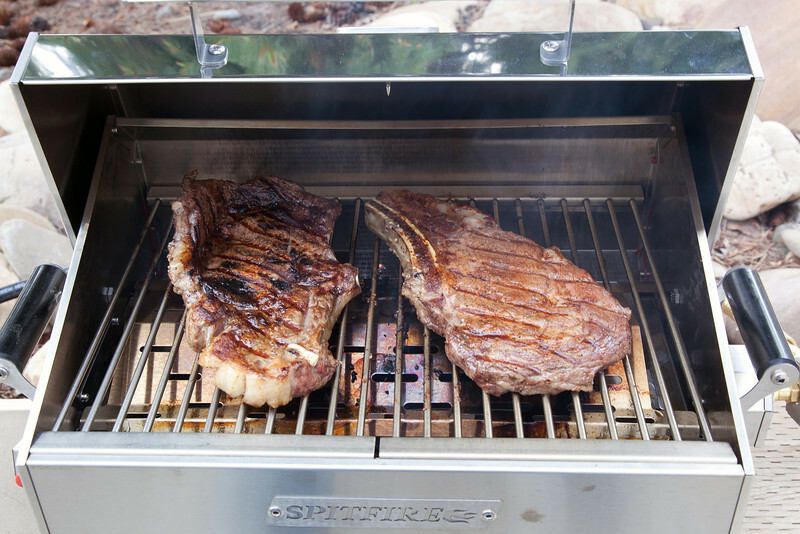 And of course, a couple of the largest T-bones I could find. It comes with a nice heavy cover too. In your research did you come across a BBQ in that size that cost more? In your research for a moulded fiberglass trailer, did you come across one in that size that cost more? Most of the marine grade ones were in the same price range as this one. Most vendors sell this one for about $270-360 (Here is one link - CLICK), and I paid even less from the manufacturer. At about $80 more than the Weber Q 100 (which does work good), I really do believe it really was worth it. thanks for the info Jim, our weber is not that old so probably won't be for a while but that looks like a great replacmnent. Wouldn't have known about them (marine BBQ) if not for reading this. 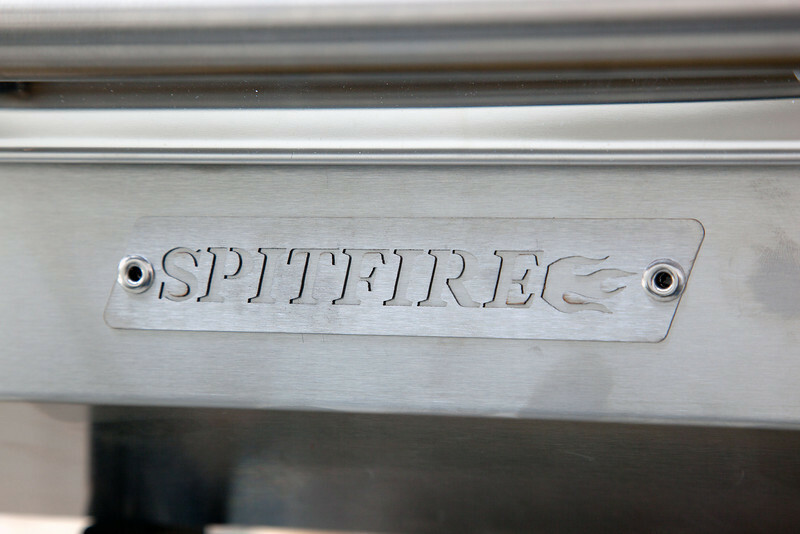 I like that the Spitfire has 1100 BTUs and the Weber only 850 BTU. That said they are both used, for the most part, to grill and not BBQ. You didn't address ease of finding Dickinson replacement parts. I think Weber would win in that department. And, note that you are unlikely to find parts for the cheap grills / BBQs that Canadian Tire sells. They are only intended for one season use. That's why I ended up with Weber @ home, got tired of the "aftermarket" replacment parts that don't quite fit for the cheaper ones @ Canadian Tire and the fact that every year it seemed like i was replacing burners, grills and such, Have had my weber @ home for 5 or 6 years now and have only had to replace the igniter switch. Oh and the heat is even anywhere on the grill. So when we were looking for something for the trailer the baby Weber was the choice and has worked well for probably 3-4 years. That Spitfire does look like a really nice unit though. 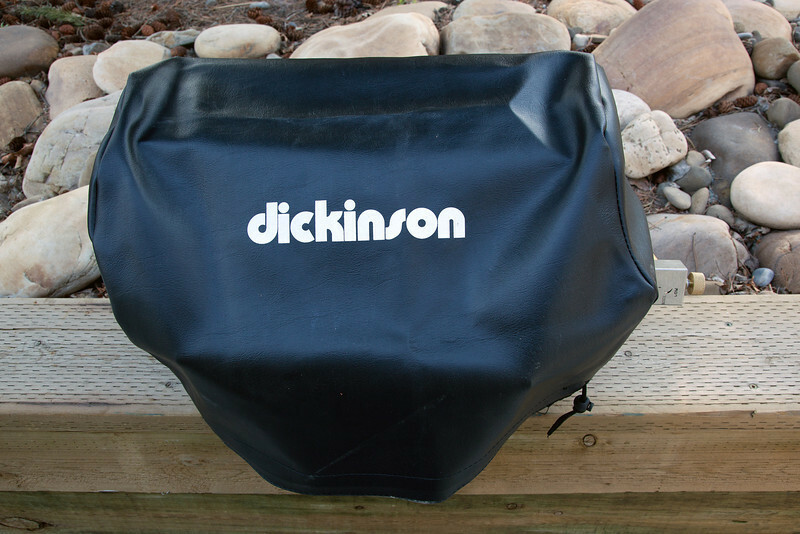 The Dickinson is made well enough, you likely would never need to find replacement parts. If you do, pretty darn certain the company would supply them. They have a list on their site, and were great people to deal with. They are located in Surrey, BC. I have used lots of the Weber portable grills, and they work quite nice, and would possibly have bought one if they weren't so darn bulky. I had nowhere I could find to store it when not in use. Like I said before, the $80 upcharge for the Spitfire 180 is a small price to pay for the added quality of build. 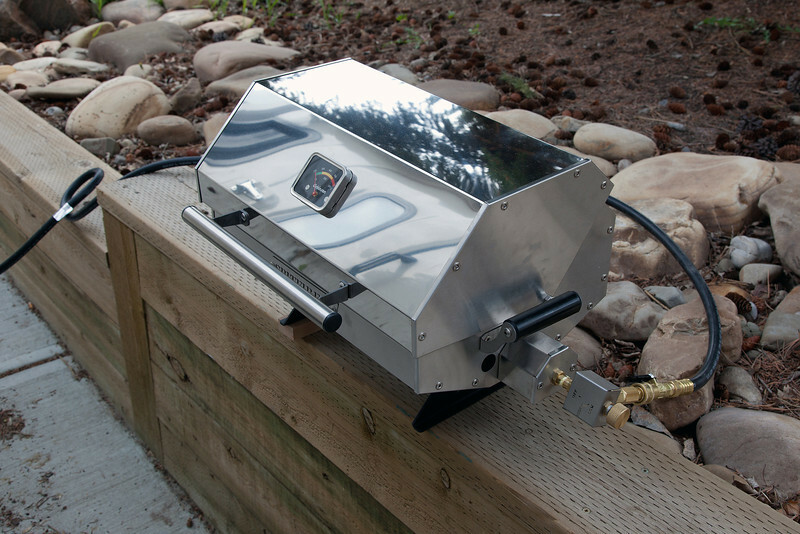 My first even portable grill years ago was one of the cheapy models, and it lasted less than 2 years with only about 30 uses. I learned my lesson there. My last one is a Broil King, which after 10 years is still going strong. We just find that now that we have no kids along, it was just way too big for our need, and one of our kids uses it as their balcony BBQ.